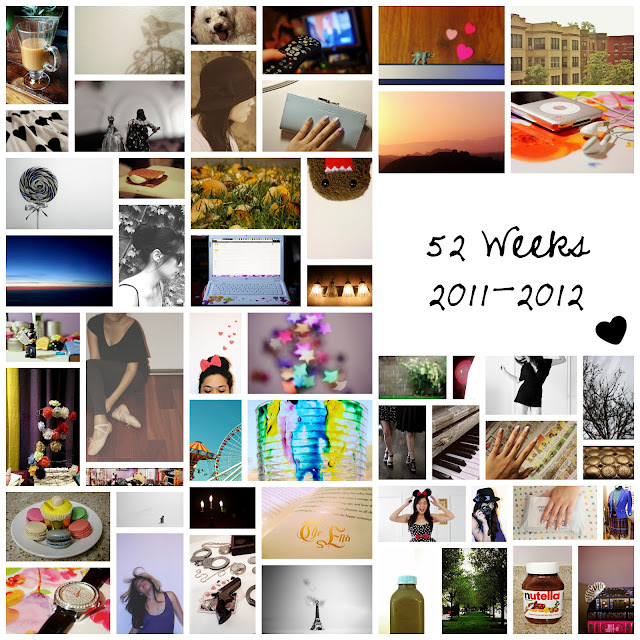 Though I neglected to post the remainder of my 52 Weeks photos, I did end up finishing the challenge recently (yay!). 52 themes, 52 photos. You can view the entire set here (or above, but they're really tiny). I'd love to do another photo challenge again soon (but not Project 365--that was way too intense)! It's a fun way to get creative juices flowing. If anyone knows any good Instagram ones, do let me know. It's currently my favorite medium to explore with.